Gallagher Dashboard holds one version of the truth about your animals, backed-up in the cloud and available on all your devices. 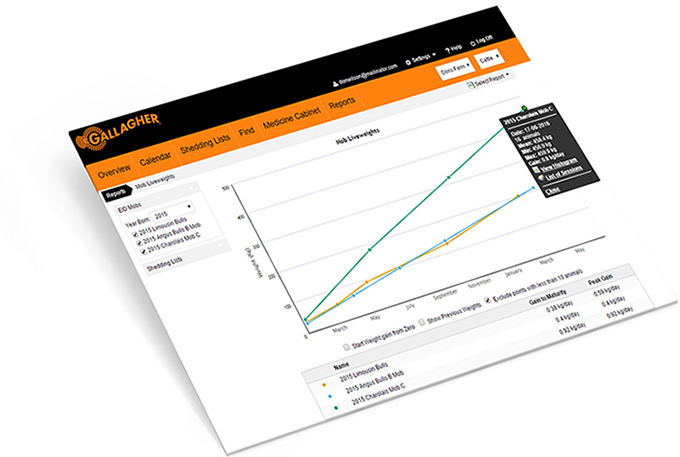 Use Gallagher Dashboard’s tools to track weight gain to sale or tupping. Performance reports show you which animals (or suppliers) are doing well or holding you back. 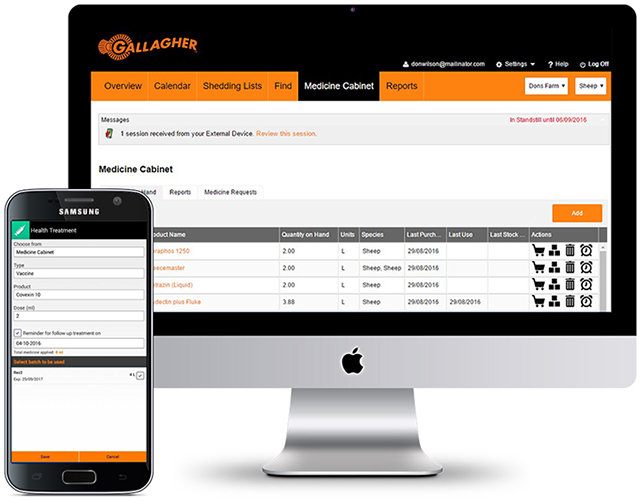 Whether it’s Red Tractor, aligned supply, or just a chat with your vet: have all the information to hand with Gallagher Dashboard’s Medicine Cabinet and treatment records. Nobody wants to fail an RPA audit – there’s just too much at stake. 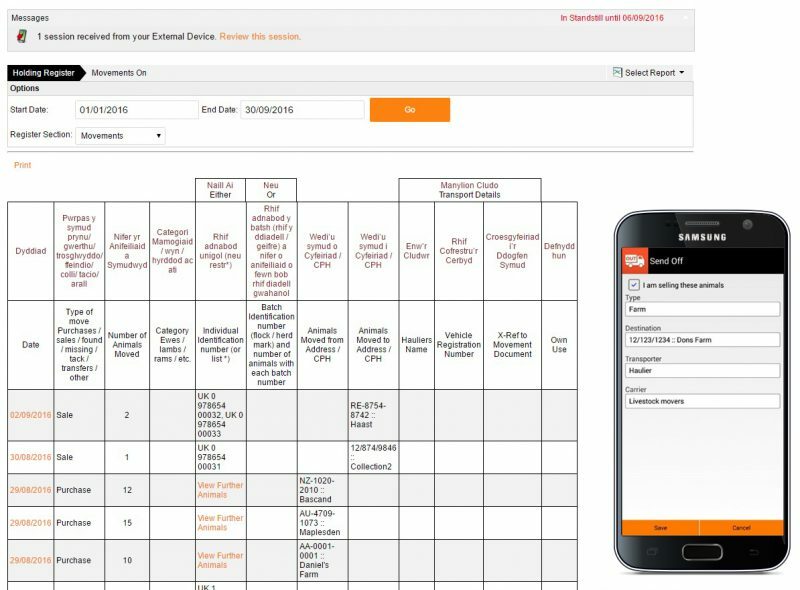 Use Gallagher Dashboard to track stock movements, get warned about standstills, and manage your isolation facility. Read tags on farm so you aren’t reliant on markets getting it right, and automatically file movements with ARAMS, ScotEID, and BCMS. Gallagher Dashboard on the web works on your PC, Mac or tablet, whether you’re at home or on the beach in Mallorca. Better still, invite your workers and delegate some tasks. Download the Gallagher Dashboard app for your Android phone, tablet, or Apple iPhone to access your data in the field. Connect to equipment from Gallagher, TruTest and Allflex. Load files from a range of equipment vendors. Gallagher Dashboard is supported by telephone and email during UK business hours through our local support team. Urgent evening queries are handled overnight by our backup team in New Zealand. Read frequently asked questions and submit your question at our Support Site. Manage animals on your holding or grazing on your other local holdings within 10 miles. The streamlined system for reading animals onto and off your collection centre. Use the farmer plan on your own farm, free of charge.